Carpets are a wonderful addition to your home but require a lot of maintenance. 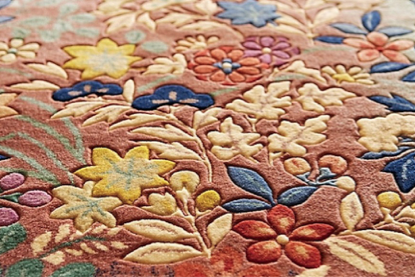 Once you’ve decided on the new woven, tufted or knotted one know that you’d have to take regular care of your rug or carpet. This means trying to not let the pets fool around on it a lot and carefully watching the children if they aren’t using it as an artistic sketchbook for their play. If that does occur, fear not! For the Top Cleaners’ team is always ready to come to your rescue. We offer a special carpet cleaning service that will leave you feeling like you’ve just purchased a brand new one. Our techniques include pre-spray treatment, deep scrub, and steam cleaning. You can stay and watch as the dirty stains vanish before your eyes. Magic! The wonderful magicians you can find waiting for you at 0207 205 2626 and 0800 051 7626. Our carpet cleaning service is available to you 24 hours of the day in cases of emergencies. Our low-cost carpet cleaning prices and no extra charges or hidden surprises just top off our professionalism. The carpets will have a quick drying time and Top Cleaners employees pay special attention to spots and stains. When they leave your home will possess the odour of flowers blooming on a sunny spring day. And since it’s the season why not order our special spring cleaning service. It’s time to get those old winter dust and germs out of your house and welcome warmly the perfect cleanliness. It’ll keep you and your family happy and healthy. We can assist you on every occasion as we provide curtain cleaning, upholstery cleaning, end of tenancy cleaning, office cleaning and after builders cleaning. Do not hesitate and try them! You’ll only get the best in return for doing so! Let’s see now, which are the best methods of keeping your carpet clean. Vacuuming it on a regular basis is a good way of maintaining it in a good condition. Try and do it at least once or twice a week. This way the gritty particles life inside it will be cut short and you’ll have a nice and soft-to-the-touch carpet in your possession. An essential part of keeping your carpet clean is the general cleanliness of your home. You may not have the time to clean often but when you do make it a deep clean. If you have radiators, don’t forget wiping them and swiping around them. Or just count on Top Cleaners for doing the job for you. A lot of people prefer hanging the carpets on the walls as a room decoration. But decorations don’t just stay fresh and neat on their own. Don’t leave them behind.